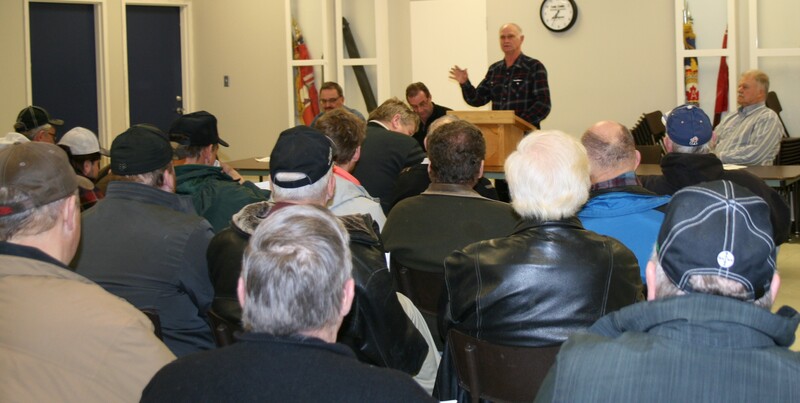 THEREFORE BE IT RESOLVED, That this meeting supports the farmers of Western Canada by calling for the re-establishment of the Canadian Wheat Board (CWB), and single-desk selling of grain in western Canada. Could people go to jail over this? It [taking the CWB] does seem like a theft over a certain threshold incident that would dictate that type of a penalty in a society with a decent justice system. I would be a bit nervous attempting a similar caper I know that. It is definitely not a petty crime. The elevator companies that farmers deliver grain to own the grain and resell that grain in many cases to themselves in an other country. Farmers now understand the scale of the mess that Harper and Ritz created by destruction of our CWB. Farmers and the Government do need to rebuild our CWB. The CWB existed for the Farmers not for the elevators. The CWB was able to put the elevators on a fixed income thus saving and Earning our Canadian farmers a lot of revenue. We see the vast costs that farmers now pay to elevators as a big loss of farm income. It does not matter what you might have thought about the CWB before, it is clear now that without the CWB farmer income is easily taken by grain traders. A Public Audit of the CWB destruction by Harper and Ritz is needed. Since it was taken away without a vote and the assets taken without compensation, I would say natural justice demands that it be returned immediately. Thanks for standing up for farmers with a clear evidence based resolution. All farmers need to take the time to understand why that motion is essential to our economic future.